First off- For every post I put up today if twenty people comment I’ll give away an ebook to one of the visitors who comments. So tell your friends and have them come by and leave a comment. If forty people comment on one blog two people will receive an ebook. When I wrote the first book of the Halsey brother series, Marshal in Petticoats, it started out as a one book deal- then along came Gil’s brothers- four of them. Even after they were added, only a small niggling said this could be a series, then the first book was released and everyone wanted to know when another brother would have a book and the series emerged! I’ve had a long standing relationship with series books. They have always been my favorite to read. I enjoy becoming a family member as I read the stories. I like rooting for everyone and wondering who the next book will be about. And I’ve found so do many other readers. Readers like finding out more about the families, and in a sense, becoming part of the families as they read the stories. It’s amazing how deep some readers become engrossed in the character’s lives. But it is a rewarding thing for an author to have someone so excited about a next book- about the family. And that is what led me to the second book - Zeke’s book, Outlaw in Petticoats, the third book - Ethan’s book, Miner in Petticoats, the fourth – Doctor in Petticoats, and the fifth – Logger in Petticoats. Which is the final book, or is it? I’ve had so many readers ask for more that I’ve started researching for a trilogy with the young men who were brought into the Halsey family in each book: Jeremy, Colin, and Donny. 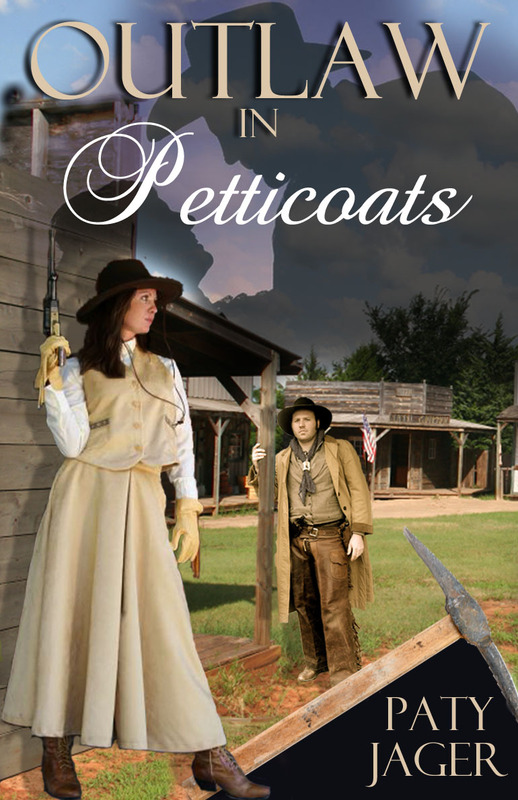 What started out as one idea, a young woman dressed like a boy made marshal by a corrupt mayor (Marshal in Petticoats) has ended up a five book series, and if all goes well two trilogies since after I finish the young boys trilogy, I’ll write a trilogy about the brothers of the heroine in Logger in Petticoats. Are you a fan of series? If so, what is your favorite series and why? If not, what about series don’t you like? After accidentally shooting a bank robber, Darcy Duncan becomes marshal of a town as accident prone as herself. Darcy's taken care of her younger brother the last five years, and she's not about to take orders from a corrupt mayor or a handsome drifter, whose curiosity could end her career as a marshal and take away their security. Gil Halsey arrives in Galena looking for his boss's son turned outlaw. He discovers the town's new marshal is a passionate woman with high regard for family. Darcy reunites Gil with his estranged family as they romp through gold country dodging outlaws and clearing her name. “Sure you could.” He chucked her under the chin and started to move away. Darcy grabbed Gil’s shirt, pulling him around to look at her. “I can take care of myself. I have been for several years.” She didn’t know why, but his comment and condescending attitude struck a chord of defiance in her. “Now, don’t go getting all in a fluster. I’m sure you have been staying out of trouble by the skin of your teeth. But you were a kid then. You’ve become a woman.” He put a hand on her cheek. “A beautiful woman.” His gaze dropped to her exposed chest. A scorching wave of heat started at her middle and flared out to her fingers and toes. “You have no idea what these men around here would do to you if they had the chance.” His thumb moved slowly back and forth, caressing her cheek. “W-W-What would they do to me?” She barely heard herself mumble the sentence. His gaze turned dark. Only this time a glimmer of something other than violence flickered in his intense stare. He stepped closer and wrapped his arms around her, pulling her against his long body. His head dipped, and his lips brushed hers. Her body pressed against him, yearning to feel his strength. He bent closer, lifting her onto her toes. She wound her arms around his neck to keep from melting into the floor. His lips moved urgently over hers, sending waves of sensations through her eager body. He grasped her tighter. His hands moved up and down her back, then down over her hips, tracing the contours. Darcy felt a stinging blow to her bare shoulder and turned from Gil, gasping for air. Also starting this month I’m giving away gift cards to restaurants and book outlets. Stop in and see how you could win! Award winning author Paty Jager is a member of national and local writing organizations. She not only writes the western lifestyle she lives it. With sixteen novels and several short stories published, she continues to have characters cavorting in her head. You can learn more about Paty at her blog; www.patyjager.blogspot.com her website; http://www.patyjager.net or on Facebook; https://www.facebook.com/#!/paty.jager , Goodreads http://www.goodreads.com/author/show/1005334.Paty_Jager and twitter; @patyjag. Honestly, I not an especially big fan of series. I have very eclectic tastes and find I have difficulty committing to a series. While it's nice to revisit familiar characters and settings, I'm bad about keeping up and really bad about reading things in order. I also don't like to be left "hanging"...waiting until another book for plot points to be resolved. Catherine Lee, Those are all valid reasons to not care for series. I've been told by several people they won't buy a first book of a series until they know the last one is out because they like to read them all in a row. Thank you for stopping in an commenting! Thank you Goddess Fish for having us today! 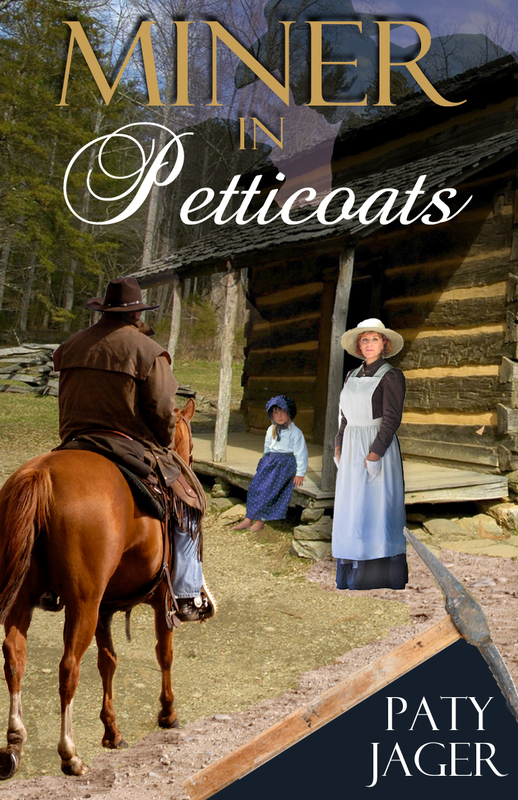 I have read some of the Petticoats books. They are a great read. I love series! Love them! And I'm a big fan of early American romance as well, so will have to check these out. Hadn't heard of your books before, so I'm excited. I love a series as long as each book can stand alone too. Hi Debby! I'm glad you liked my books and took the time to poke your head in a comment! Hi M_Nark, Love to have you take a look at my books then. I'm fond of series too. Hi Colletee! These books can stand alone which was also fun to do. Hi Lauri! So it that your sneaky way of saying I shouldn't do the trilogies? LOL Just kidding. I'm actually excited to take up with the younger generation of men in the Halsey clan. Thanks for stopping in! Paty, I love series. As someone else commented, I like for them to stand alone, but it's still always best to read the first and take them in order. Nothing is more pleasing to me as a reader than to find a prolific new author who has written a series and dive into the first book. Caroline, I agree. I've read series books ever since I was able to read chapter books. There is something comfortable about reading about the same characters and growing with them. 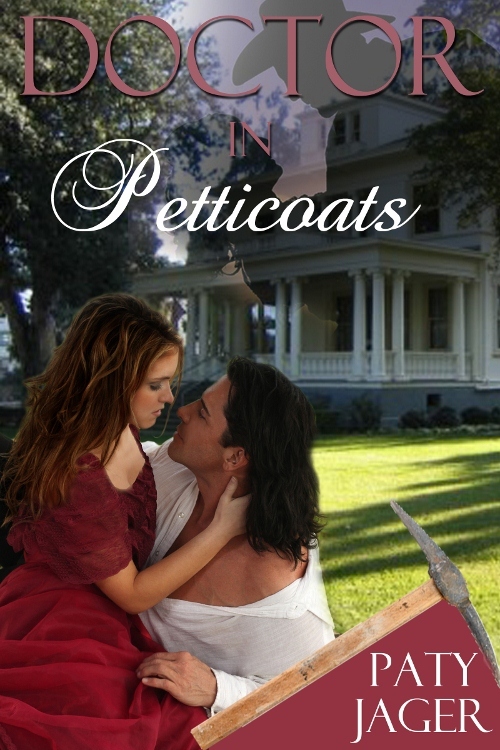 I love a good series, and I'm a big fan of your Petticoats series! I'm glad you're writing more of them, Paty. Hi Sarah! Thanks! I'm getting excited to "visit" the family.